With the Landmarks Preservation Commission‘s (LPC) blessing, a building near Rockefeller Center is set to get green. 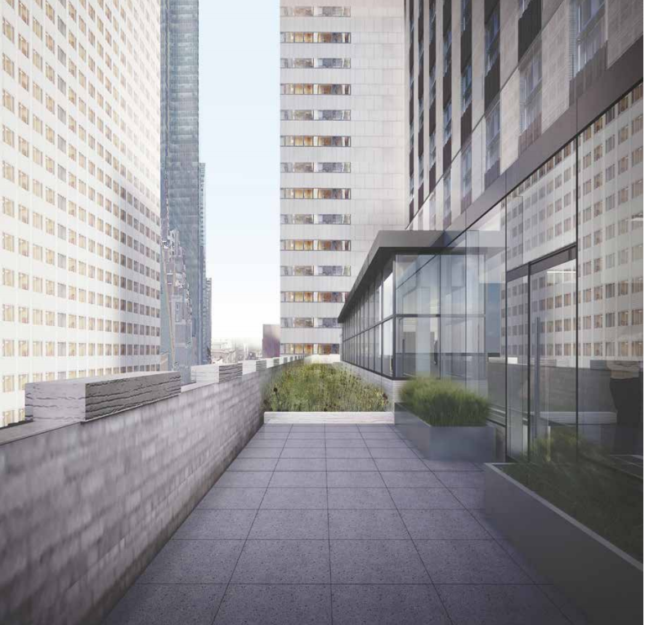 On Tuesday, the LPC approved a verdant rooftop terrace addition to 75 Rockefeller Plaza, an early modernist building designed by Robert Carson and Earl Lundin in 1941 that sits on the north end of the plaza, between West 51st and West 52nd streets. Completed six years later, the 424-foot, 33-story building was originally part of Rockefeller Center, and was declared an individual landmark in 1985 when Rockefeller Center received its designation. 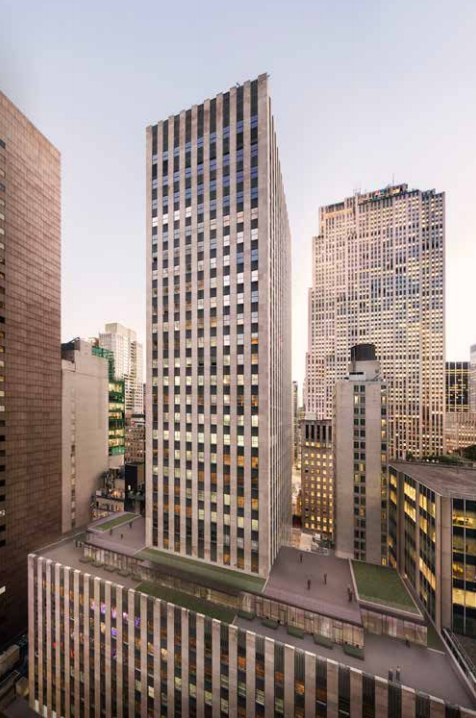 New York–based Kohn Pederson Fox (KPF) and preservation consultants Higgins Quasebarth & Partners are revamping an extension on the tenth floor. The move gives the building more interior space as well as outdoor areas on the ninth floor roof. The proposal also includes an extension of the 11th floor that would create a terrace on the floor above. The designs reflect the commission’s goal of keeping the terrace and garden from marring the historic viewshed. In the proposal, the architects emphasized the discreet qualities of their design from street level: The only new addition to the visible landscape is a new, laminated glass guardrail that encircles the terraces’ perimeters. The commission approved this plan and Herzog & de Meuron‘s Upper East Side megamansion for a Russian billionaire with an entrancing backyard in the same session. Although 75 Rockefeller Plaza is a private office building, workers in nearby towers will be able to get a dose of greenery-by-proxy from their cubicle windows.